Susan Jaques discusses Ceasar of Paris: Napoleon Bonaparte, Rome, and the Artistic Obsession that Shaped an Empire. A Q&A and signing will follow the discussion. About the book: Napoleon is one of history’s most fascinating figures. But his complex relationship with Rome—both with antiquity and his contemporary conflicts with the Pope and Holy See—have undergone little examination. In The Caesar of Paris, Susan Jaques reveals how Napoleon’s dueling fascination and rivalry informed his effort to turn Paris into “the new Rome”— Europe’s cultural capital—through architectural and artistic commissions around the city. His initiatives and his aggressive pursuit of antiquities and classical treasures from Italy gave Paris much of the classical beauty we know and adore today. Napoleon had a tradition of appropriating from past military greats to legitimize his regime—Alexander the Great during his invasion of Egypt, Charlemagne during his coronation as emperor, even Frederick the Great when he occupied Berlin. But it was ancient Rome and the Caesars that held the most artistic and political influence and would remain his lodestars. Whether it was the Arc de Triopmhe, the Venus de Medici in the Louvre, or the gorgeous works of Antonio Canova, Susan Jaques brings Napoleon to life as never before. 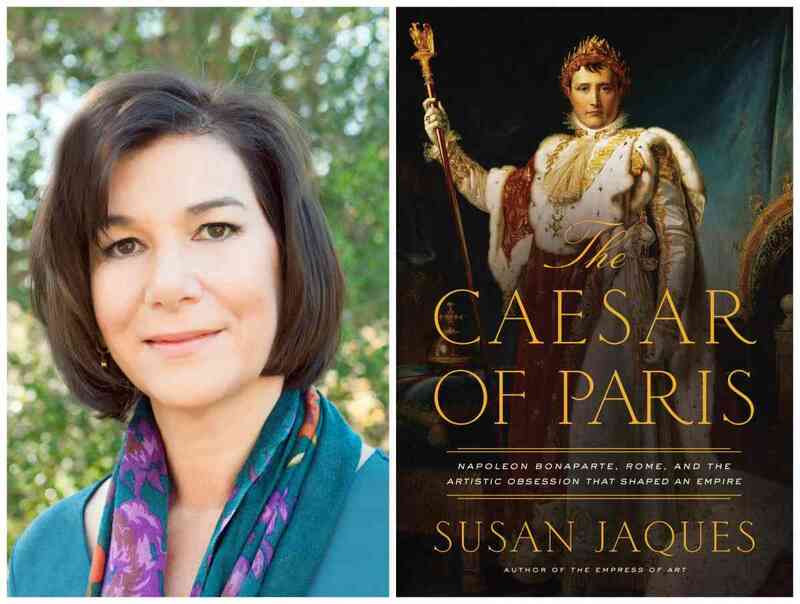 About the author: Susan Jaques is a journalist and author of The Caesar of Paris: Napoleon Bonaparte, Rome, and the Artistic Obsession that Shaped an Empire (Pegasus Books, Dec. 4, 2018). Her previous book, The Empress of Art: Catherine the Great and the Transformation of Russia, explores the legendary tsarina’s reign through her passion for art (Pegasus, 2016). Susan regularly lectures on art and architecture. She has spoken at numerous arts organizations and museums throughout the United States, including the J. Paul Getty Museum in Los Angeles where she’s a gallery docent. Susan studied History at Stanford University from which she holds a bachelor of arts; she earned her MBA from UCLA. She’s a member of the Napoleonic Historical Society and Historians of Eighteenth-Century Art & Architecture.